In 2017, online retail leader Amazon announced that it was searching for a city to host its second corporate headquarters dubbed HQ2. Amazon’s initial headquarters in Seattle would remain while the new headquarters would potentially host up to 40,000 new jobs wherever Amazon ultimately chose to build it. In November of last year, Amazon finally decided on putting HQ2 in New York City, specifically Long Island City in the Borough of Queens. That was until yesterday when Amazon announced it was withdrawing from the deal due to local opposition. Many local politicians and residents opposed the new Amazon headquarters claiming that not only would the jobs go to those from outside of the area but it would also put a strain on an already crumbling infrastructure. Most importantly opponents to the new headquarters were concerned that the influx of Amazon employees would make the local housing crisis even worse. Those who were in favor of the new headquarters touted the tax revenue that would be brought into the city and the state and that would bring even more companies with more jobs and revenue to New York. However, the housing crisis question is one that can’t be ignored. 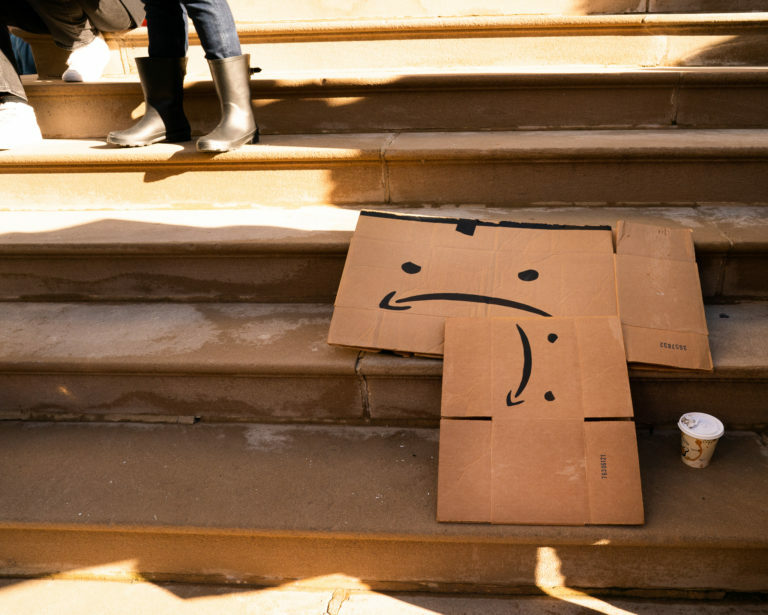 In Amazon’s own hometown of Seattle, many local residents blame Amazon not only for rising housing prices but also disrupting old neighborhoods that for generations were well within the financial grasp of the middle class. Silicon Valley is an even more bleak example of how giant tech corporations have affected local housing markets as the San Francisco Bay area has been priced out of reach for almost all except the tech elite and the revenue generated by these companies does not seem to be providing many benefits to locals. What do you think? Did the residents of Queens make a mistake in driving Amazon away or were they justified in trying to protect their neighborhoods? 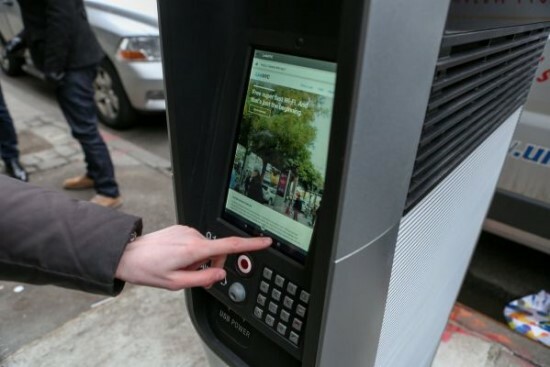 New York City’s free web kiosks are a great idea, in theory. Instead they’ve become the textbook definition of ‘the best laid plans’. The kiosks, first introduced to the Big Apple in February, were installed in the places of old phone booths, have 911 and 311 capabilities, can be used as a free wi-fi hotspot, and have web enabled touch screens. As is with most free gifts given to the public, the kiosks were abused. The kiosks have led to people camping out at the kiosks all hours of the day, which has led to drugs, noise complaints and other nuisances that have concerned business owners and residents. While the kiosk touchscreens had filters to prevent from explicit sites from being displayed, it didn’t take long for some users to circumvent the filters. This led to explicit content being shown on the kiosks at all times of the day to any passer-by. Not an accurate depiction. Or is it? Craig Newmark, founder of the list that bears his name, likes to portray himself as a man of the people. Mr. Newmark likes to say that he’s not about the money. If you were to see craigslist’s home office you may think that was true. The building in San Francisco is so unassuming that if you were passing by you might miss it if you blink. Craig has often bemoaned that craigslist’s profit margins are so razor-thin that they can not hire additional staff such as moderators or customer service reps.
Now it seems that craigslist’s profits may be more lucrative than Mr. Newmark was possibly leading us to believe. Recently Craig bought a $6 Million home in New York City. According to the New York Post the modest home takes up two floors of a four-story building and has three bedrooms and 3 and a half baths in the West Village. This won’t be Mr. Newmark’s primary residence either. This will be his New York crash pad for when he’s conducting business in New York. His primary residence will remain in the Bay Area where real estate prices are some of the most expensive in the country. Now we would never begrudge someone for their success, except when it comes at the cost of their honesty, ethics and the safety of their customers.